Lean Simulations: The Pitch Game - Lean Sales Training. The Pitch Game - Lean Sales Training. The Pitch Game is an engaging icebreaker game, designed to get people thinking creatively. 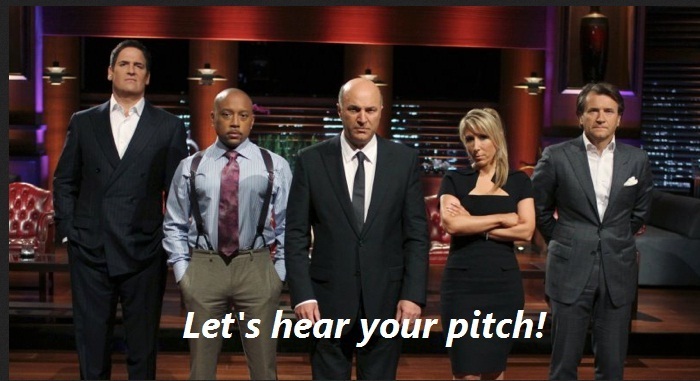 Fans of the television show Shark Tank or Dragon's Den, will be right at home playing The Pitch Game. The rules are simple. Each person is put on the hot seat and given two words. Preferably these are shouted out by an unruly audience. Combine these words together and add dot com. Now in about sixty seconds, create a business plan for your new website and pitch it to some sharky venture capitalists. The Pitch Game isn't a lean game. Sorry. There's no push vs pull, batch vs single piece flow, kaizen or 5S. But there are some lessons to take home. Watch the following video of the Pitch Game being run at Startup Weekend Delhi. In life we all have to sell our ideas. Whether convincing employees of the merits of single piece flow, or selling management on a kanban inventory replenishment system. We are salespeople. All day long. Sometimes we can sell by doing. Performing a small trial, a kaizen event, a pilot area, can get buy-in on a bigger project. But many times we just have our own powers of persuasion, and a short time. The Pitch Game will prepare you for that moment. This was touched on in the video. A good pitch will focus on the problem first, then the solution. How can this help us as lean thinkers? Sometimes we focus too much on the tool. Can we fit single piece flow here? Or is heijunka the answer to all our problems. It's worth stepping back sometimes to analyse what the problem really is. Instead of trying to shoehorn a solution into every situation, creating a comprehensive A3 will bring us back to the root of the problem and ground us. Is the Pitch Game a useful game for lean training? If you have some creative types in your group, why not pitch them with the Pitch Game? Not everyone wants to be put on the spot, so be careful with your audience. At the very least you have a fun ice breaker and an interesting problem solving activity to get your juices flowing! 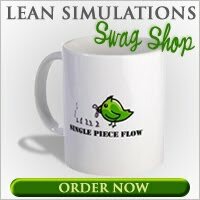 Looking for a real lean game, check out my huge list of lean games and simulations!